Rajasthan Art Online Jewelry Shop of Thread Bangles, Wholesale Silk Thread Bangle at wholesale price. Early from fashion trends thread wrapped bangles are the famous fashion accessory for every woman. Today�s fashion scenarios has many type of bangle jewelry are available into fashion market to enhance women beauty. 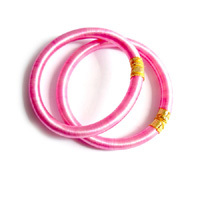 We are wholesale supplier of thread wrapped bangles that is elegant in look and comfort to wear. thread wrapped bangles are adjustable according to wrist size so there is no point to have special size of bangle. 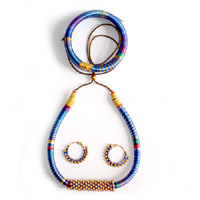 The Indian Bangle Jewelry we produce are handmade and hand dyed. 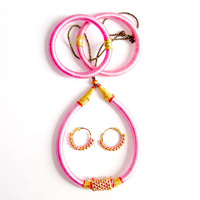 According to fashion trend soon we launching thread bangles with stone also that would also trendy in look and style. 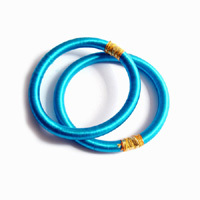 Rajasthan art bring to you the colorful thread wrapped bangles from Rajasthan, India. Our designer thread wrapped bangles are very popular into fashion world, many bollywood as well as Hollywood celebrities using this type of bangles to enhance look and style. Our Thread Bangle Jewelry are available into various colors, stone, textures, embroidered with glass and floral motifs. 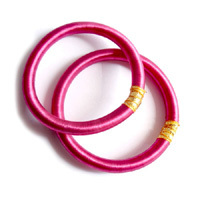 Women�s can carry these pretty bangles with traditional or modern attire. This unique look bangles makes every women�s classy and gorgeous looking. Due to cheap in price theses bangles are getting good response from domestic as well as foreigner fashion market also. 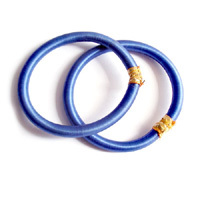 Bangles are very comfortable and easy to take care. fill the below form and send us your query for any requirement.